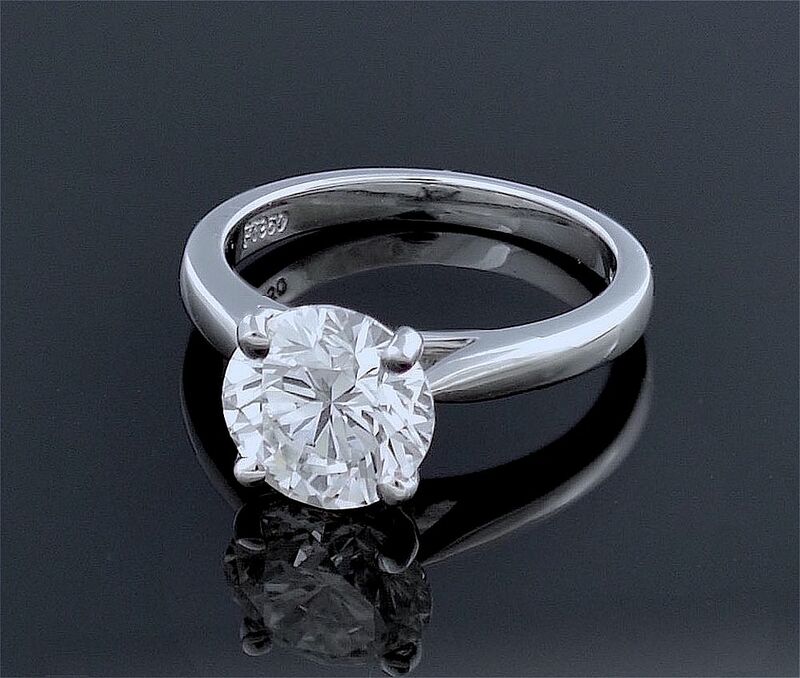 The round brilliant cut diamond is set in a 4 claw platinum collet. 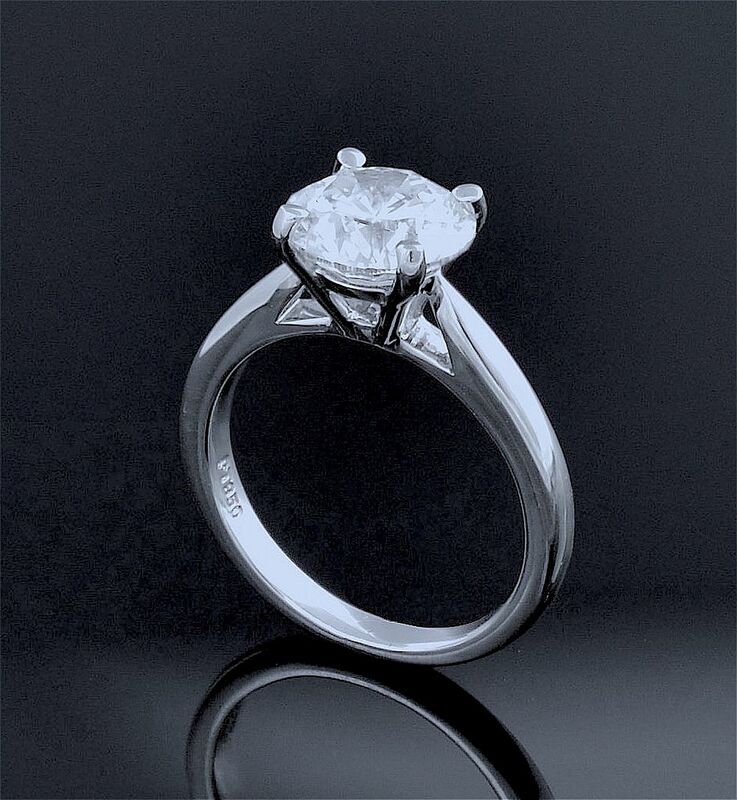 The shoulders of the ring taper down to a solid platinum shank that is hallmarked by the London Assay Office for platinum and 2015/16. The diamond has been certified by the International Gemological Institute (IGI).